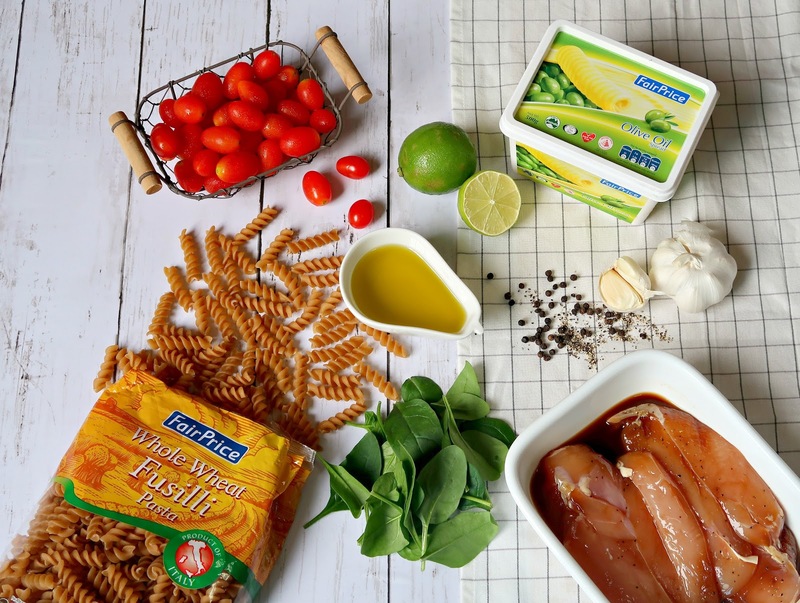 I accepted a challenge from FairPrice to come up with a recipe using their very own FairPrice HouseBrand products. Since my family loves to eat pasta salads, here's what I came up with using FairPrice Whole Wheat Fusilli Pasta and FairPrice Olive Oil Spread as the key ingredients. 1. Prepare the marinate mix in a resealable bag. Add the boneless chicken and mix thoroughly. Refrigerate for an hour or preferably overnight. 2. Cook the pasta according to package instruction. Drain and set aside. 3. 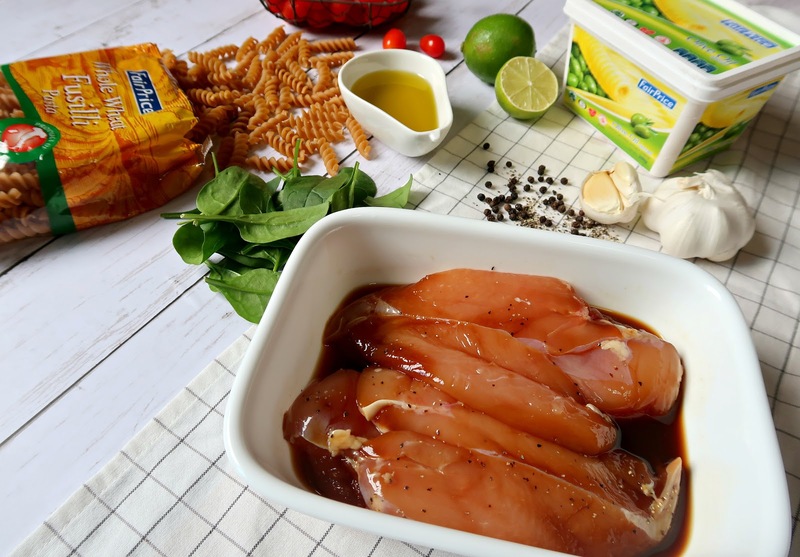 Heat the grilling pan, paint with FairPrice Olive Oil Spread and grill the marinated boneless chicken. Cut into strips and set aside. 4. Prepare the dressing mix by putting all the ingredients together. Mix thoroughly. 5. In a salad bowl, put the cooked pasta, grilled chicken, baby spinach leaves and cherry tomatoes. Mix evenly. 6. Add the salad dressing and mix thoroughly. 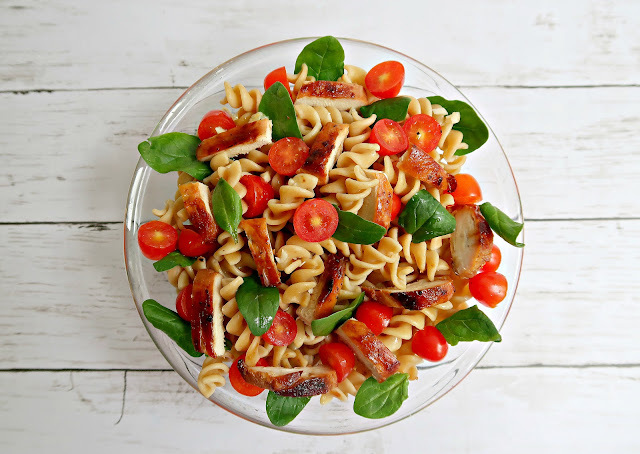 This was my first time trying out this recipe and I am so elated to report that both kids and adults in our household (including our trusted helper who usually prepares our home-cooked food everyday) raved about how it's really yummy and flavourful.